Aiki is the universal principles that brings all things together; it is the optimal process of unification and harmonization that operates in all realms, from the vastness of space to the tiniest atoms. Aiki reflects the grand design of the cosmos; it is the life force, an irresistible power that binds the material and spiritual aspects of creation. Aiki is the flow of nature. Aiki signifies the union of body and and is manifestation of that truth. Further, aiki enables us to harmonize heaven, earth, and human kind as one. Aiki means "to live together in harmony" in a state of mutual accord. Aiki is the ultimate social virtue. It is the power of reconciliation, the power of love. The emphasis on being the "victor," whatever the means and whatever the cost, has largely obliterated the the noble ideal of "sportmanship" in contemporary athletics. Morihei wrote: "Sports nowadays are only good for physical exercise -- they do not train the whole person. The practice of aiki, on the other hand fosters valor, sincerity, fidelity, goodness, and beauty, as well as making the body strong and healthy." In traditional aikido there are no formal contests, and thus no "winners" and no "losers." Morihei maintained to the end that aiki is cooperation. In each aikido exercise, the partners take turns being the attacker and the defender, the winner and the loser. In this manner, a trainee learns much from experiencing both sides of the aikido equation. 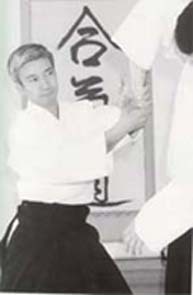 Onlookers (and sometimes students themselves) often remark, "Aikido techniques only work if your partner cooperates." That is exactly the point.